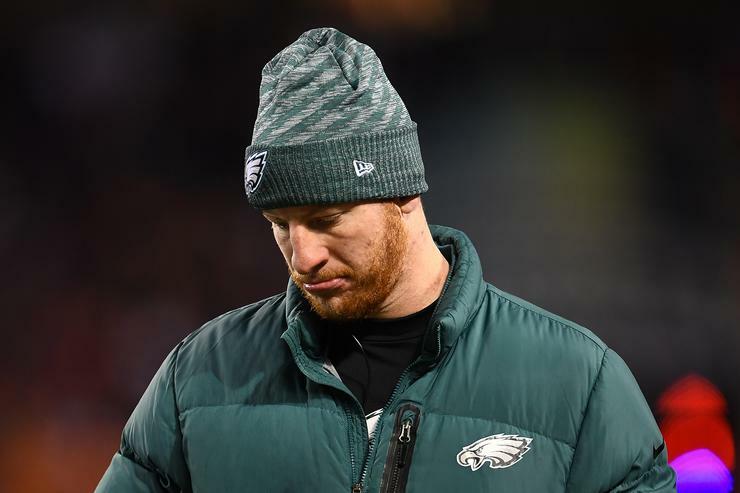 Home>Sports> Carson Wentz Says Back Still Isn't Completely Healed: "This Stuff Takes Time"
At the end of last season, Carson Wentz suffered a stress fracture in his back which took him out for the remainder of the season. Nick Foles stepped in for him and the rest is history as the Eagles made it to the playoffs and even won a game against the Chicago Bears. Since then, Foles signed with the Jacksonville Jaguars which cemented Wentz as the team's franchise quarterback. The QB spoke to the media on Monday about his injury status and how his recovery is going. Overall, it's been a slow process. "It's still getting there. It's still getting there," Wentz explained. "Some of this stuff just takes time, but that's not really the main concern, it's just kind of how I feel. I feel pretty good with where I'm at." 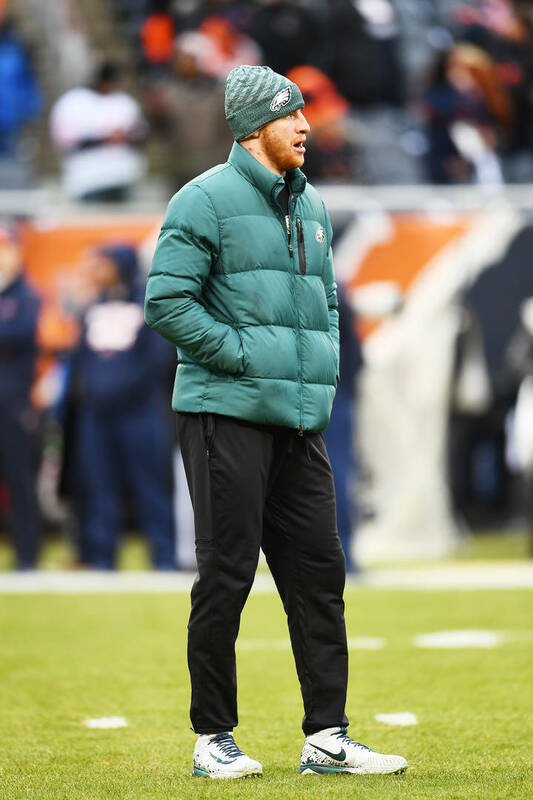 There have been questions surrounding Wentz as to whether or not he can make it as a franchise quarterback considering all of the injuries he's sustained in his young career. Wentz understands those doubts but is ready to prove people wrong. "I get it. I get it," Wentz said. "I'm looking forward to putting those (questions) behind me. I understand it's a part of this league, it's a physical league and things happen. But it's one of those things that's out of my control, and I look forward to putting that behind me." Only time will tell whether or not Wentz can lead the Eagles to one of the best records in football like he did just two seasons ago. SPORTS Carson Wentz Says Back Still Isn't Completely Healed: "This Stuff Takes Time"